Give it your all. Dare to be all you can be. Graduation day is a pivotal moment. After a lifetime of learning, and at least three years of studying hard in a chosen subject, we are thrown headfirst into the unknown world of adulthood. That day – and the months afterwards – are ripe with possibility. They can feel by turns thrilling and rudderless, dreamy and terrifying. It’s the perfect time to reflect on the past and look at what’s to come. In this collection of carefully curated speeches, hear from leading voices such as Barack Obama, Gloria Steinem and Tim Minchin, and discover their profound advice for the graduating classes of Harvard, Stanford and many more top-class universities, who have gone on to shape the world we live in. 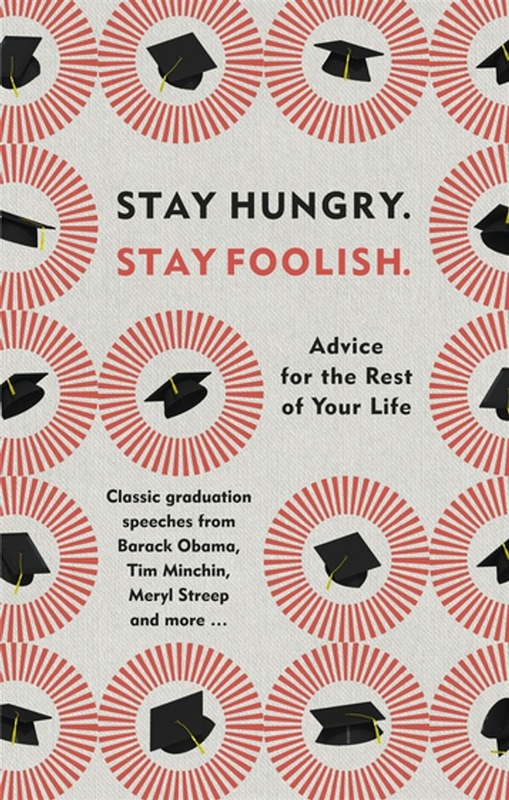 Whether you’re looking for the perfect graduation gift, a memento of this significant life moment, or are simply seeking guiding inspiration, the lessons in Stay Hungry, Stay Foolish will last a lifetime. Acquista Stay Hungry. Stay Foolish. in Epub: dopo aver letto l’ebook Stay Hungry. Stay Foolish. di Ebury Publishing ti invitiamo a lasciarci una Recensione qui sotto: sarà utile agli utenti che non abbiano ancora letto questo libro e che vogliano avere delle opinioni altrui. L’opinione su di un libro è molto soggettiva e per questo leggere eventuali recensioni negative non ci dovrà frenare dall’acquisto, anzi dovrà spingerci ad acquistare il libro in fretta per poter dire la nostra ed eventualmente smentire quanto commentato da altri, contribuendo ad arricchire più possibile i commenti e dare sempre più spunti di confronto al pubblico online.